Tep Bar is a cool bar presenting classic Thai drinks and entertainment in a fun and engaging way. 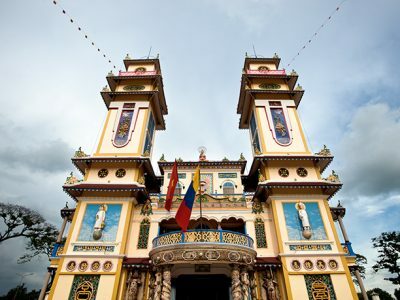 Located in Bangkok’s Chinatown, this hip venue delivers traditional live music and no shortage of cocktails. Tep Bar is located on Soi Nana just off Maitrijit Road, a five-minute walk from Hua Lamphong MRT Subway Station. It’s easy to walk right by the dimly lit shophouse that is now Tep Bar. There is no sign, so you will need to follow your ears and listen for Thai music as you approach Soi Nana. Inside you will find an industrial, urban-chic bar that can get quite busy on the weekends. It can get quite loud there as the night wears on and more rounds are ordered. Due to Tep Bar’s growing popularity amongst expats and locals alike, be sure to call ahead and make a reservation. Come nightfall, enjoy your meal while Thai musicians take the stage to play traditional music from the Central region. 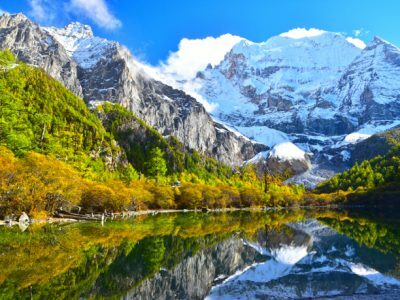 Like many major cities globally, Hong Kong is no stranger to big live acts rolling into town from Ed Sheeran to Guns N’ Roses and many Canto and K-Pop stars. 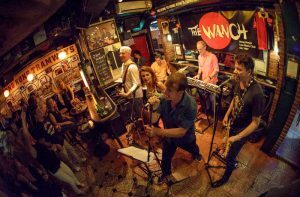 But, if you’re looking to hear some of the best known international songs up close and personal, then the late night live music scene in Lan Kwai Fong and Wanchai is an absolute must. Many of the live bands are made up from a talented pool of Filipino musicians and singers, but these are not just your average cover band. From pop to rock, dance to country there is nothing these bands can’t master. Destination Asia Hong Kong suggests starting your night at the intimate setting of Foxglove where on Friday nights everyone ends up dancing. After warming up head into the popular late night spot of Lan Kwai Fong and enter the back room of Insomnia, a bar that lives up to its name staying open well into the early hours of the morning. 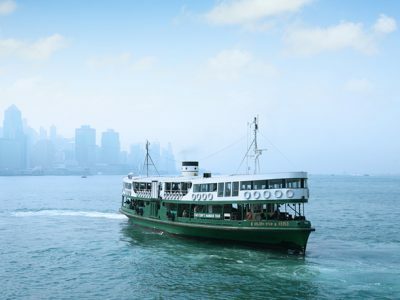 For more early hours entertainment and the brave folks keen on delving into Hong Kong’s late night bar scene, Wanchai, Lockhart and Jaffe Road are the places to head, with streets lined with bars playing rock, pop and retro music. 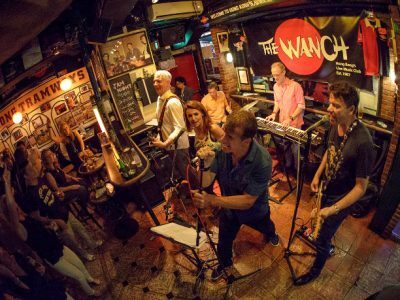 Our top picks to check out in Wanchai are CentreStage, Joe Bannana’s The Wanch and Dusk ‘til Dawn. Bali Praia (a unique blend of café lounge with recording studio) was created by GO-JEK co-founder, Mikey Moran and his business partner, legendary Bali Island DJ, Fadi Alturk. 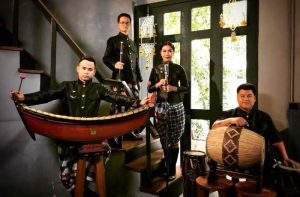 Their vision is to make a significant impact on the Bali community through Bali Praia by combining their shared love for music and Moran’s innovative and entrepreneurial flair inspired by his GO-JEK roots. Guests can learn how to DJ at Bali Praia, or if you want to get deeper into the matter, also request advance courses or learn how to get into music production. The venue uses state-of-the-art equipment and specializes in modern music such as techno, house, turntablism or hip-hop. Their concept is a world’s first; nurturing local as well as international talents and providing them with a creative hub to create music, share music, talk music and network with other likeminded individuals from all over the world. 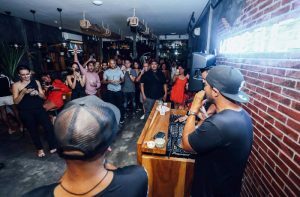 Timbre Group was founded with the social mission of developing the Singapore music scene through the nurturing of Singapore musicians – and growing sustainable audiences for them. Today, the Group has evolved into a holistic music lifestyle company with a diversified portfolio including five live music restaurants and bars, two international festivals (Timbre Rock & Roots and Beerfest Asia), a pizza restaurant and delivery service, an artist management agency, and two music academies. Timbre is well known among the local scene for home grown music talent and exceptional music and dining experiences. Timbre X @ The Substation: The flagship Timbre X live music venue recently went through an extensive spruce up to be a befitting home for Singapore musicians. 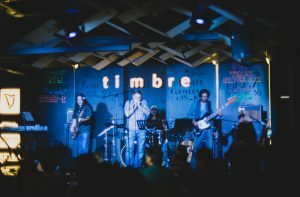 House of Timbre at The Arts House: Consists of Timbre @ The Arts House, Barber Shop by Timbre and Timbre Music Rehearsal Space – a training and practice space for budding and emerging musicians. Timbre+: In this community there are 15 restaurants and two stalls run by new-generation hawkers. Switch: A bilingual Mandarin and English live music venue and restaurant-bar located in the arts and heritage district of Bras Basah. The 300-seater venue sets the stage for the best up-and-coming Singaporean musicians with live performances nightly. The Jazz Bar at Fairmont Peace Hotel is the premier address in China for legendary jazz. The Fairmont Peace Hotel has been a Shanghai landmark for over a century and enjoys a premier location on the Bund, facing Shanghai’s modern Pudong area. The Jazz Bar’s intimate and authentic décor guarantees to instantly carry guests back in time to the private clubs of the 20’s and 30’s. The current Old Jazz Band is made up of six veteran musicians whose average age is 82. 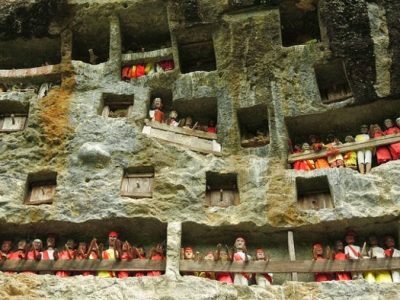 For decades, they have drawn an esteemed audience of locals, international travelers, celebrities and heads of state such as former US Presidents Jimmy Carter and Ronald Reagan. A timeless cocktail list inspired by the 1920’s and 1930’s makes any visit complete.